First of all, a bit of an update on the exam front. I’ve had two days of practical exams so far. The first day went better than I expected and today was more difficult. The nerves got the better of me, I blanked so many times and didn’t have time to finish a lot of the stations. But hopefully I scored enough points to pass. We shall see. It feels like I’ve been in the exam mode for months now and I don’t really believe they will ever end. But I know they will. To keep myself sane, I go on walks around Edinburgh, to see Joanna in my new favourite cafe in Tollcross and I take pictures. Here are some of the ones I took when my Mum paid us a surprise visit. We went to Edinburgh City Centre, to Princess Street Gardens and went along the castle. The day was grey but dry – anything is better than rain, so I was pretty happy. 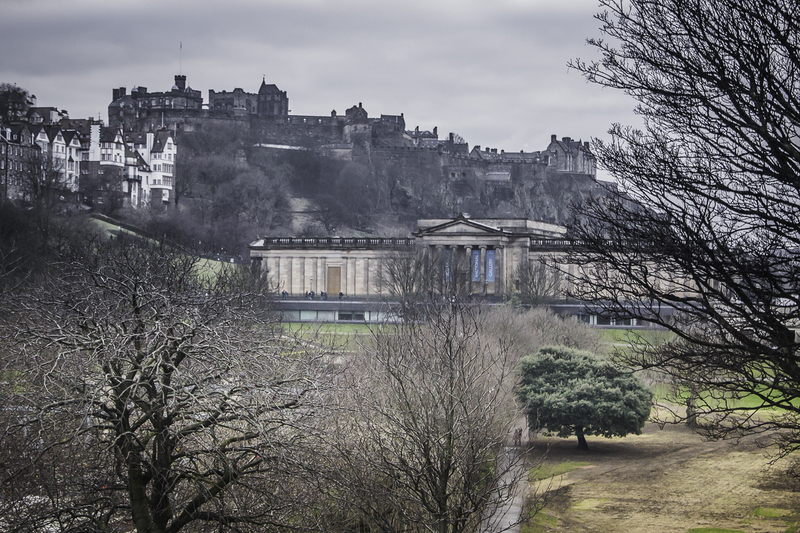 We had more sunshine recently and there is definitely a feel that spring is just round the corner, but the pictures below represent what Edinburgh feels like a lot of the time: grey. Previous PostCzego nauczyło mnie prowadzenie biznesu i dlaczego go zamknęłam?